There are a lot of issues and problems that can arise between members of a family. The usual disputes come from the disagreements that happen between the heads of a family, who are the father and the mother. Some differences may cause a riff between a married couple that could lead to major problems that can tear a relationship apart. 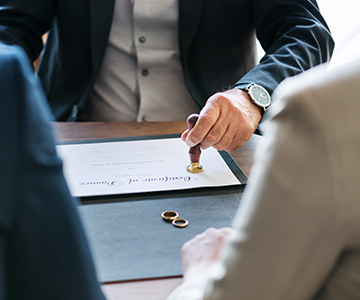 In this event, divorce lawyers in Dubai come into the picture to ensure that a proper way of dealing with their issues are approached with professionalism and handled in a way that they are counseled suitably, fixing everything. If the latter does not happen, a good divorce attorney can always make sure that there is an amicable settlement that will happen between the two parties in the best interest of a client. Basically, a family starts with marriage. Out of the love between two people, a union can form that is supposed to last for as long as they are alive. From there, children can spring forth that will form a group of people that has a level of relationship that is very personal since they are all related by blood. This the most common type of a family structure. This is a kind of family that is composed of two parents and children. This is believed as a family structure that greatly helps children to be more stable and receive more opportunities because of the financial capability that two parents can offer. This is kind of family structure wherein there is only one parent compared to the common culture of having two. This single parent raises a child or more on their own. Single parents are more frequently single mothers but there are also single fathers. It is believed that having a single parent in a household can only give fewer opportunities to children unlike the first kind of family structure. The extended family structure is a regular arrangement in some countries because of closed blood ties and culture. This kind of family is composed of parents, children, and uncles, aunties, cousins, and grandparents either from one side or both. The members of this family have duties to keep, such as raising children and doing household chores. They can also be formed because of some difficulties like financial or personal problems that include being too ill or old to take care of themselves. Although the family is basically perceived as parents and children grouped in a household, there are families that do not have any children. These people either cannot have children because of health reasons or they choose to not have children just yet or for as long as they are together. Because of this, there are married couples who choose to buy pets and spend more time with their nieces and nephews or their friends’ children as to seemingly substitute the fact that they do not have children. When things do not work out in a family because of a lot of reasons, which can be financial, mental, health, social, and other issues, the opposite of marriage can happen. This is a completely discouraged course of action in most cases in a married couple’s life. Divorce is the termination of the marriage contract or the union of husband and wife. This results in them not being accountable to each other anymore. Their responsibilities as husband and wife are all dissolved and canceled. When it comes to divorce, several issues should be tackled, such as child custody or visitation, child support, alimony, etc. 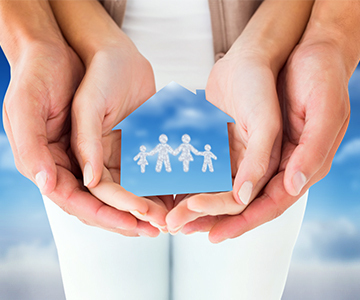 Child custody lawyers are called by parents to ensure that they will have custody of their children. HHS Lawyers & Legal Consultants is a team of divorce lawyer UAE that can help you with the procedures on how to make it work between you and your partner or process your divorce if you have both made up your mind. Because Sharia Law is the foundation of the laws in the UAE, there are certain regulations that should be followed and having one of the best divorce lawyers Dubai can ensure that you will have an amicable settlement. With the aid of a divorce lawyer, both parties can cooperate and collaborate on this matter, making an agreement. There will even be fewer issues, and the costs will be less expensive using this method. 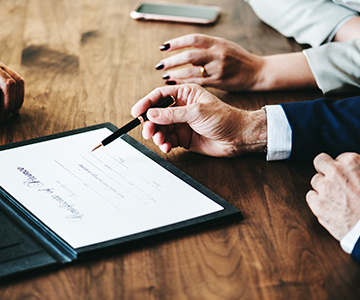 We have divorce lawyers Dubai, family lawyers in Abu Dhabi, and as well as every part of the UAE to advise or represent you whenever you need to.